A biography of British mathematician Alan Turing, The Imitation Game is the story of an idiosyncratic genius thrust into a key wartime role, struggling to fit in while brazenly pursuing his vision of the ultimate code-breaking machine. With World War Two in its early days, Cambridge graduate and mathematical wizard Alan Turing secures a job at Britain's secretive Bletchley Park facility for code breaking. He is assigned to the team attempting to break the German Enigma machine, a typewriter-sized device considered the most sophisticated and secure method of encrypting and transmitting military secrets. With Enigma changing its cipher on a daily basis, Turing recognizes that traditional manual code-breaking techniques will not work, and sets about building a massive machine to crunch through the infinite possibilities. A closet homosexual with an abrasive, bumptious personality, Turing clashes with his supervisor Commander Alastair Denniston (Charles Dance), as well as his co-workers, including Hugh Alexander (Matthew Goode). But he has an ally in the MI6's Major General Stewart Menzies (Mark Strong). 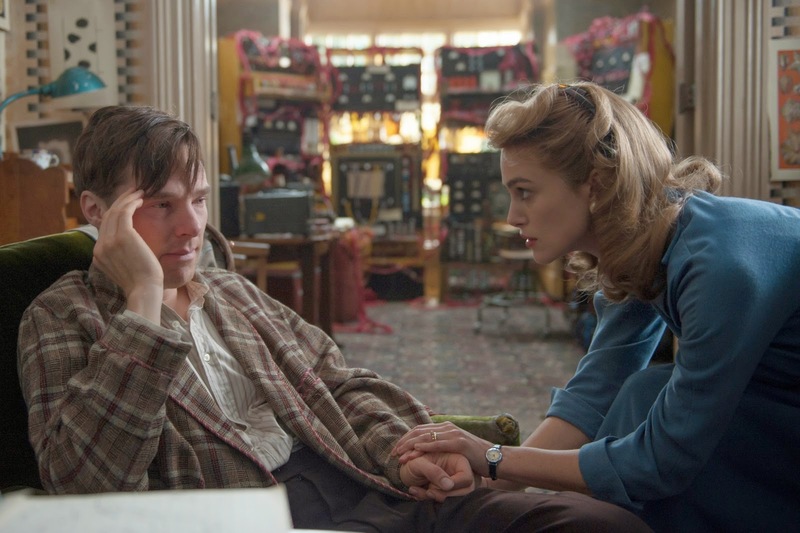 Eventually Turing is placed in charge of the project, earns Hugh's respect, and recruits his own team, including the independently-minded Joan Clarke (Keira Knightley), a woman venturing into a man's world. With the war grinding on and Britain's losses mounting daily, Turing and his team are placed under enormous pressure to deliver. Directed by Morten Tyldum and written by Graham Moore as an adaptation of Andrew Hodges' book, The Imitation Game explores the frayed edges where anti-social eccentricity threatens the potential of genius. Turing is presented as a brilliant man who was extremely difficult to work with. In a case of intellect and stubborn determination trumping social skills, his breakthroughs were achieved despite an abrasive personality. 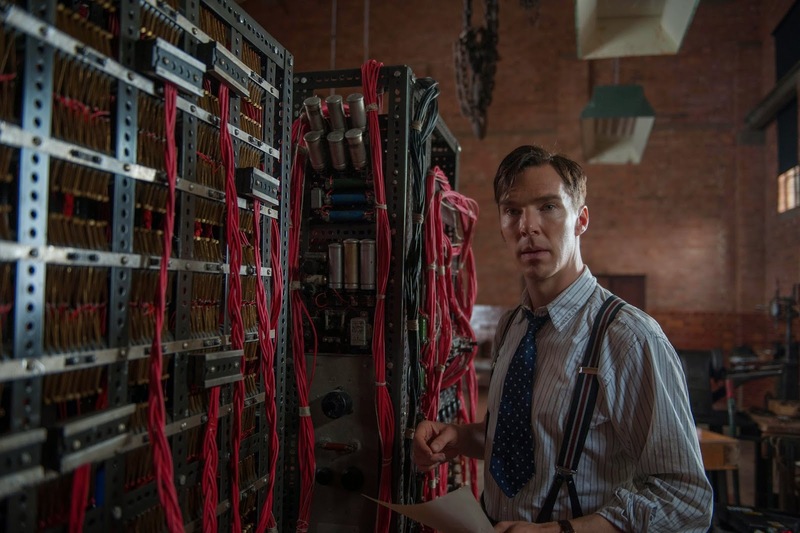 While the film emphasizes the Bletchley Park portion of Turing's life, the parallel portrayals of his boarding school struggles and his post-war arrest for gross indecency provide the film with an engaging multi-pronged thrust. Good as it is, The Imitation Games misses a few opportunities to reach for greatness. The film invests substantial screen time on the development of Turing's machine, but does not provide even a simplistic explanation of how the machine works, the audience not trusted to possess even a rudimentary interest in the output of the genius. Instead the machine is almost reduced to the level of the mud mountain that obsessed Richard Dreyfuss in Close Encounters Of The Third Kind. It's important, but never mind why. Once the machine is functional, the film fails to deliver a tangible pay-off: a milestone incident in which a decoded message was used to the benefit of the Allies. Touring's impact is summarized at the highest levels in terms of vague estimates of lives saved, years of war avoided, and paving the way for the computer age. In the life and death struggle of his lifetime, the film cries out for a real example of the advantage afforded by Touring being put to use on the battlefield. And while the scenes of Touring's experiences at the boarding school are appreciated, more about his home background would have helped to provide better context on his upbringing. In the absence of narrative highlights, The Imitation Game settles down as fairly standard study of an exceptional character. While not quite formulaic, this is a movie that has been done and redone many times before, as the gifted protagonist overcomes his own challenges and obstacles placed in his way by others and achieves the improbable. The film is elevated by the lead performances, and both Cumberbatch and Knightley are at the their best. Cumberbatch channels the socially awkward scientist made famous by Russell Crowe in A Beautiful Mind, and adds the complexity of a gay man struggling to conceal his sexuality in the most conservative of institutions and at the most dangerous of times. Often through the tension in his face and eyes, Cumberbatch conveys his impatience with lesser minds and the torture of holding on to his secret tendencies while racing to uncover the war's greatest secret. Knightley is excellent in support as a woman ahead of her time, and gets one brilliant scene as Joan tries to offer Alan an innovative path towards future domesticity. Although it could have been more, The Imitation Game is excellent at what it does, focusing on the humanity of a hero of science, and shining the spotlight on the crackling tension that builds when technical brilliance and social incompetency collide. Great movie. Benedict Cumberbatch is an actor whose work I've always enjoyed.